Hello friends! Are you ready for the weekend?!?!? It’s expected to rain most of the weekend here which normally is kind of a bummer, but we decided a cozy relaxing weekend in sounds really nice. We’ve been pretty busy lately, and I think the break is a welcome one. Summer is slowly creeping up on us, so I wanted to share a go to look of mine for warmer days. I love the look of distressed shorts, but I find most pairs are too short for my liking. My daisy dukes days are long over my friends. 🙂 I spotted this pair at Nordstrom for only $39 and loved not only the length, but the minimal distressing too. It’s just enough to be on trend, but not so much that you can see all that’s underneath them. They come in a few other colors, and I’m currently debating on buying a white pair too. I mean you can’t pass up on a comfy pair of distressed shorts under $40! Sizing Note: I went one size up because I like a looser fit to my shorts. I did try on my normal size too, and they did fit but not the more comfortable loose look I prefer for shorts. 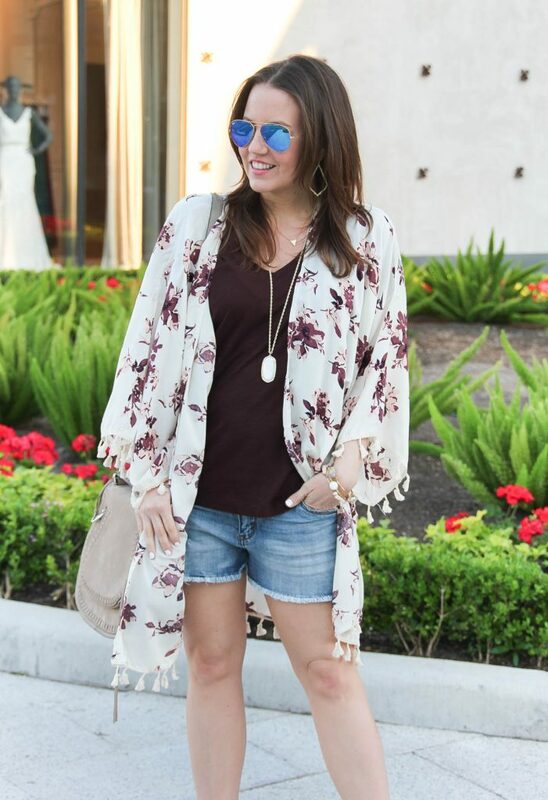 Kimonos are one of my favorite items to pair with shorts. They give off a boho vibe and can provide a little extra coverage on the back side. 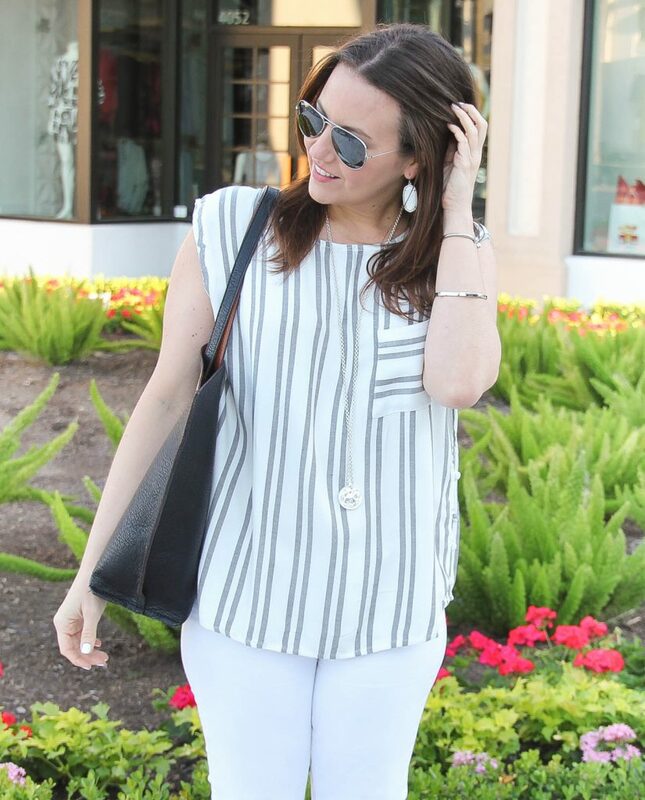 Plus, they really make your plain old tee and shorts combo look super chic and effortless. 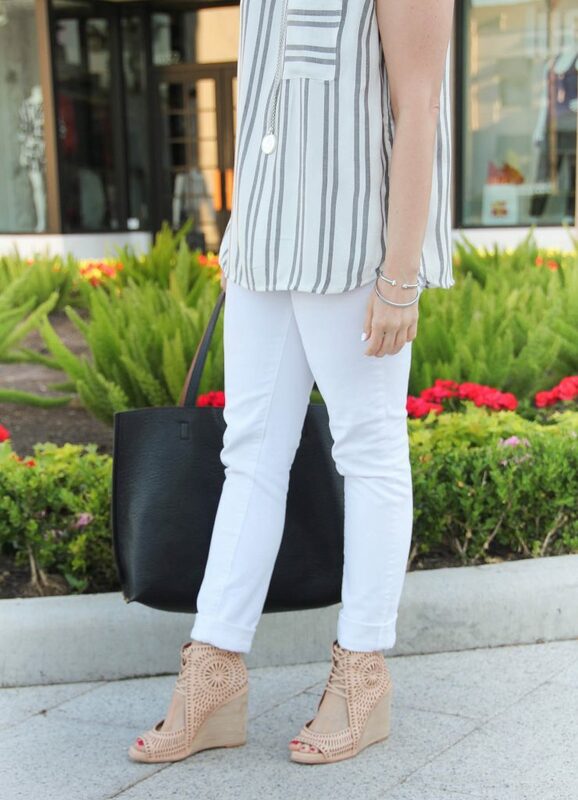 I kept with my boho vibe and paired this look with my peep toe booties, but wedges or flat sandals would work too. I hope ya’ll have a fabulous weekend, and thanks for taking some time out of your week to stop by and visit. Hands down this gray striped top is one of my favorite purchases of late. 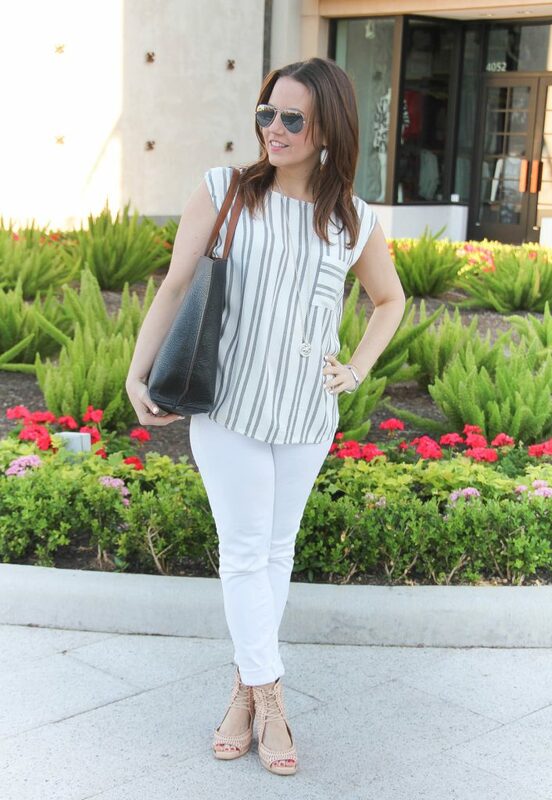 I love the gray and white color combo, and the elongating (aka makes me look thinner and taller) vertical stripes. Each side also has cute button detailing on the bottom portion. The length work for me too. It provides the right amount of coverage with my skinny jeans and tucks perfectly into shorts (as seen here on Insta). Heads up, if you are loving this top and want to purchase, it has been going in and out of stock since it arrived on my doorstep. So if it is out of stock or your size is unavailable, keep checking back because the stock level and sizes available is different everyday. I had to do that for a few days before ordering, and ya’ll it was worth it because it’s cute and comfy! Shopping Tip: I will wish list the item in the size available, so I can easily find it when I want to check available sizes. This also works when you want to keep an eye on a higher priced item for a markdown sale. 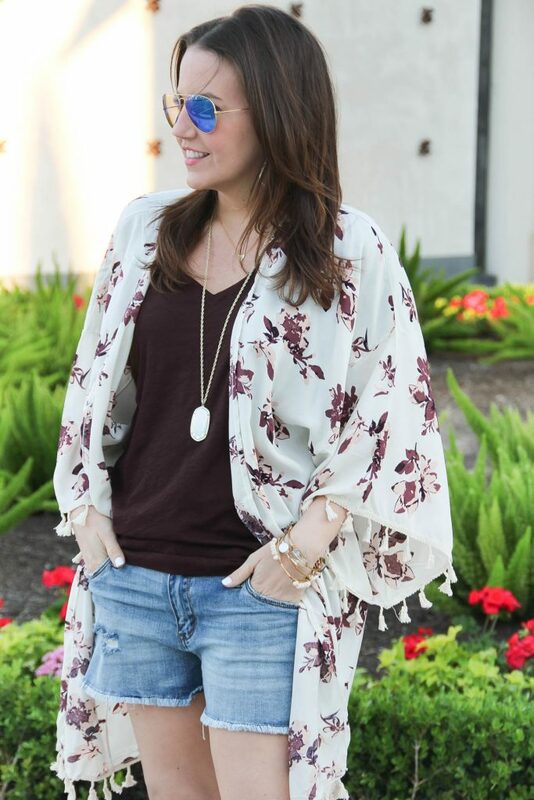 Last but not least, I am officially launching my Style File blogger linkup today! You can find it here every Tuesday. Fashion bloggers feel free to share your latest fashion post. 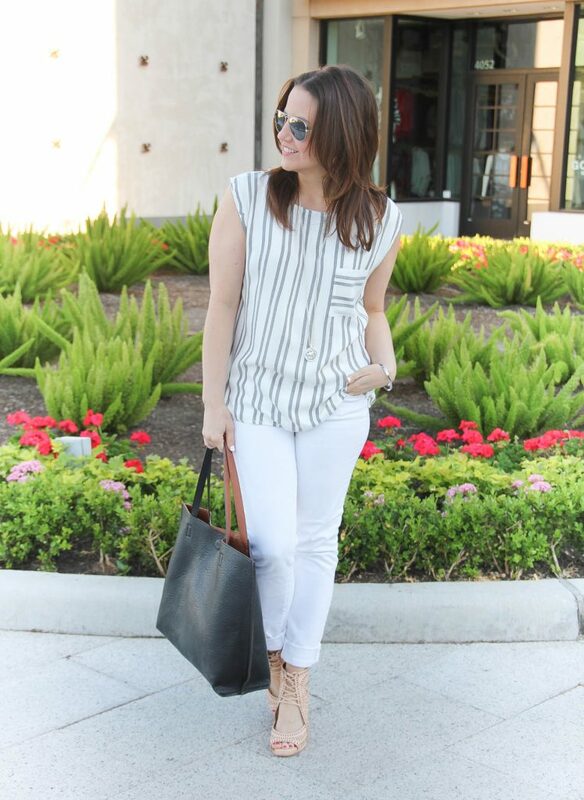 If you are just stopping by for a little outfit inspiration, scroll down for more! Thanks for stopping by and ya’ll have a great week ahead! 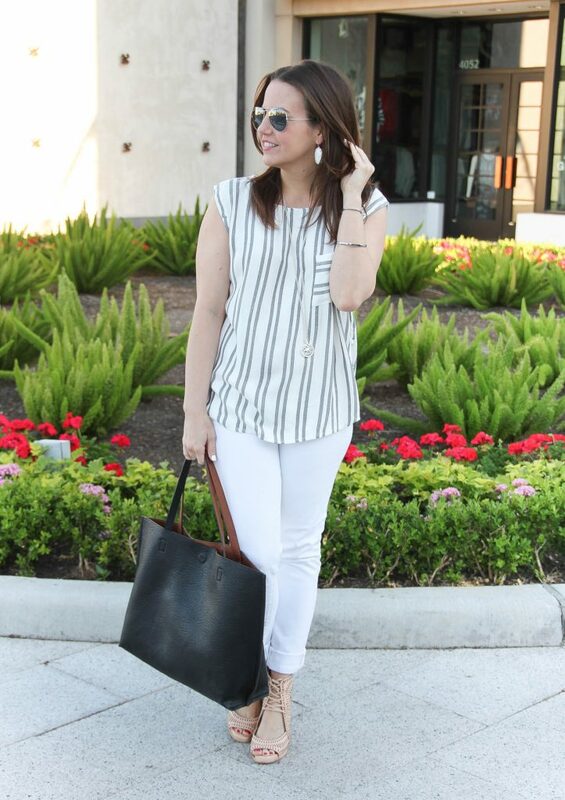 Did ya’ll join in on the fashion link up I co-hosted this week? 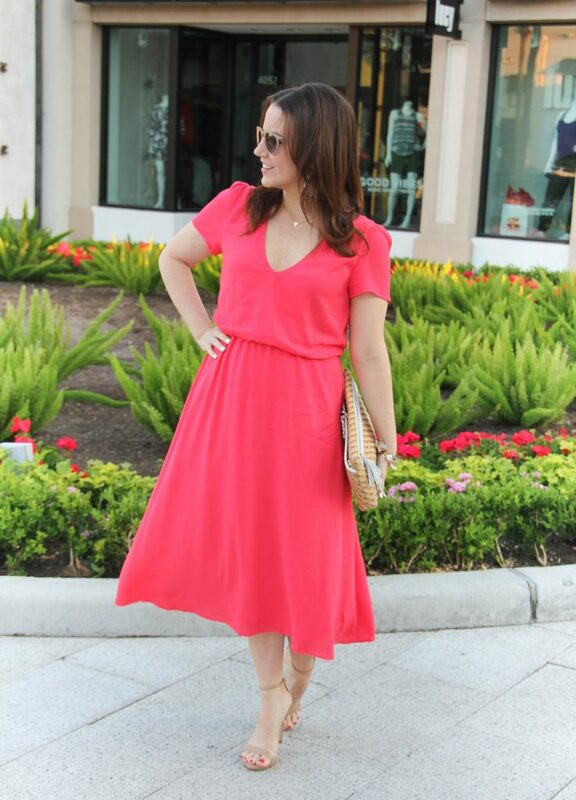 It was so much fun checking out all the style inspiration. I have been thinking all week about starting my own and decided why not! So look out for that next week. I hope you all have a wonderful weekend celebrating mom or being celebrated as a mom, even my fellow dog moms out there. I will see you right back here next week, and as always I so much appreciate you stopping by for a little style inspiration today. Hello hello! It is no secret that I love a good pair of statement earrings. 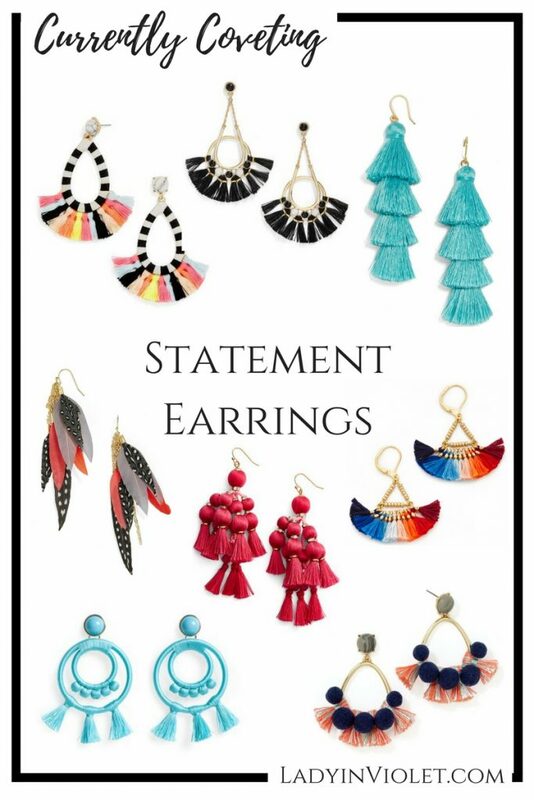 Colorful statement earrings are a hot trend for spring and summer which means my collection is steadily growing. 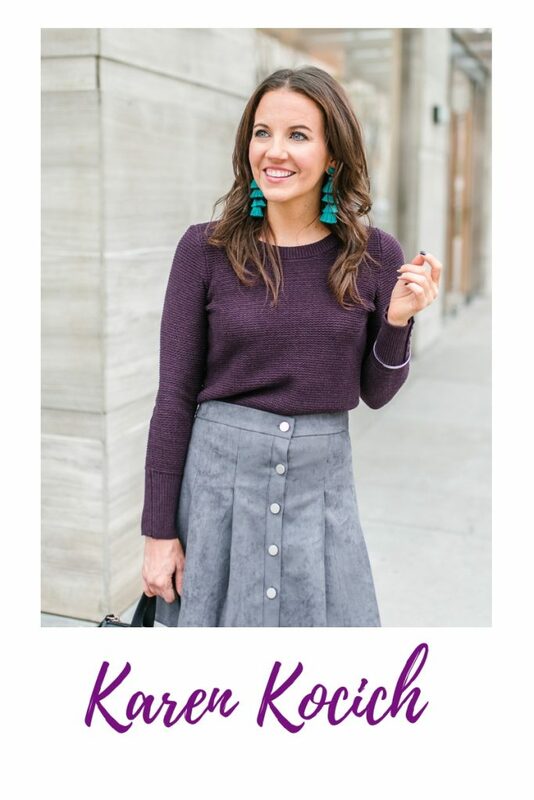 Bold and colorful earrings are a fun way to add a little color to a neutral outfit, dress up your basic tee and jeans (as seen here), and experiment with your color mixing skills (as seen here). Not all statement earrings are filled with bright colors, black and white pairs are also trending this season. Ya’ll have seen my white pair quite frequently these past few weeks ( here and here). The more neutral color is great for an outfit already filled with multiple colors or prints to add a little cohesion to the look.